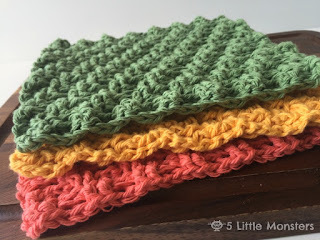 I always use 100% cotton yarn any time I am making washcloths or dishcloths. 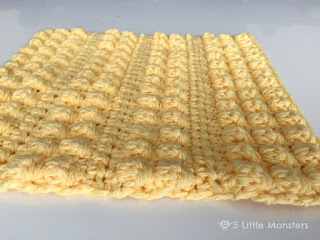 For this particular project I used Peaches and Cream yarn but any worsted weight cotton yarn will work just fine. The colors I used were Aquamarine, Ocean Coral, Fresh Lilac, and Mint. I used about half of a 2.5 oz ball for each washcloth so you can probably get 2 out of each ball if you make them the same size I did. 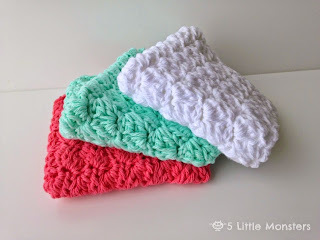 These washcloths are quick to make and paired with some pretty smelling soap or lotion make a nice gift. 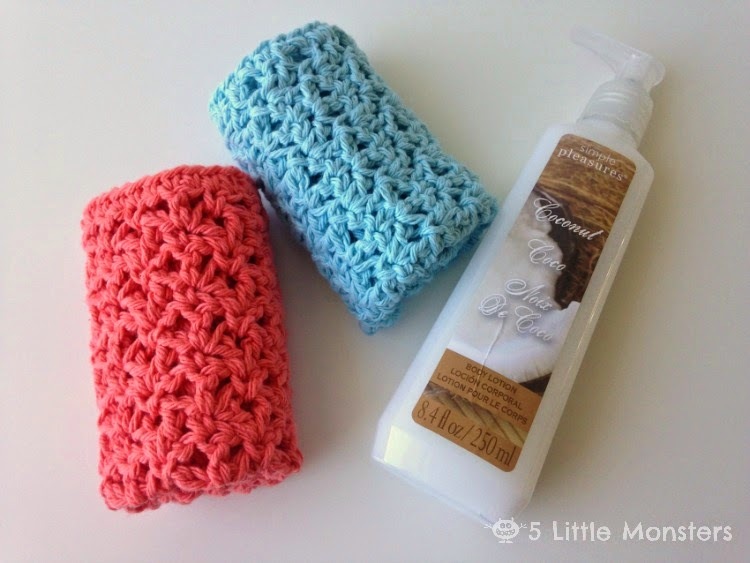 Crocheted washcloths are nice to have on hand when you need a quick little gift for someone. Maybe a mom, grandma, sister or friend. Repeat rows 2 and 3 until desired length ending with row 2. I repeated both rows 7 more times and then row 2 one more time. To finish sc evenly all around the outside edge working 3 sc in each corner, finish off and weave in ends. These are lovely! I like both the texture the stitch gives as well as the colours you've chosen, so I'll be pinning this for future reference. These are beautiful. Do you have the pattern posted on Ravelry? Thank you. I just posted it on Revelry, that is usually one of the first things I do and somehow with this one it didn't get done so thank you for reminding me. It should be there now. These look quick and easy. 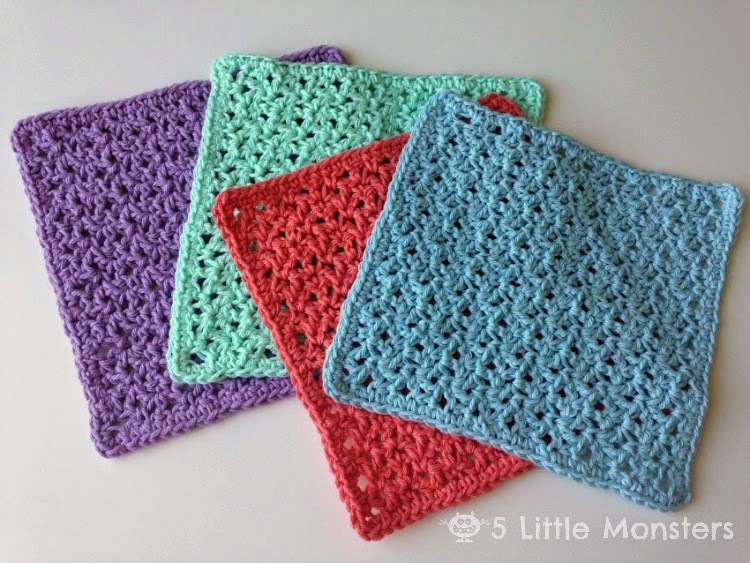 I love crocheted washcloths and dishcloths. Thanks for sharing. The pattern looks to be very sturdy and would work well with any duty assigned to it. Love the pattern...delicate but strong. They look pretty but I'm lost at the instructions. 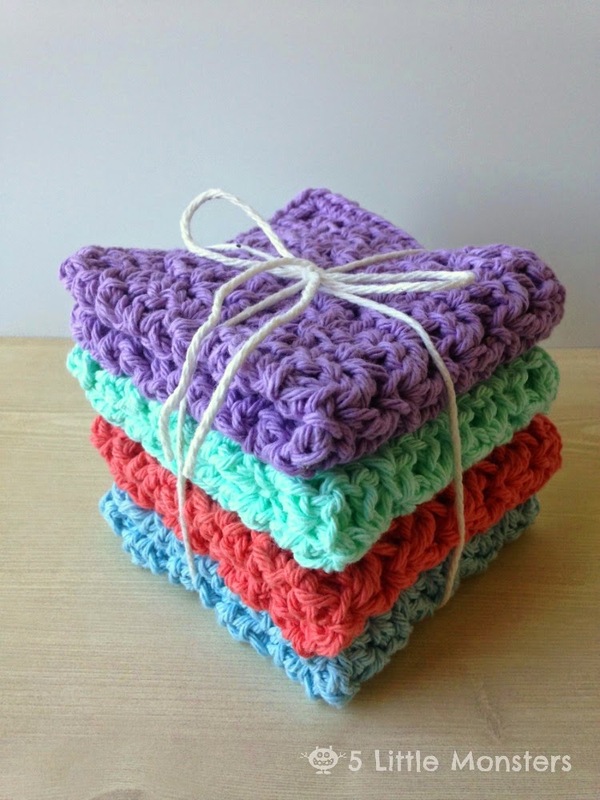 I was just thinking about trying a bit of crochet to see if I can make something. I don't know what the ch dc and such are. Guess I need a book to get started. I'm enchanted by these cool & neat Woven blossoms! 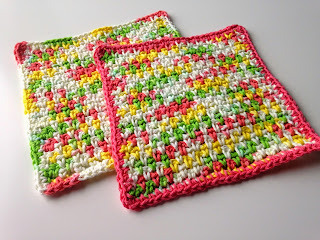 Where is the tutorial for the blossom stitch dishcloth? It is in this post, towards the end. It is just written instructions. 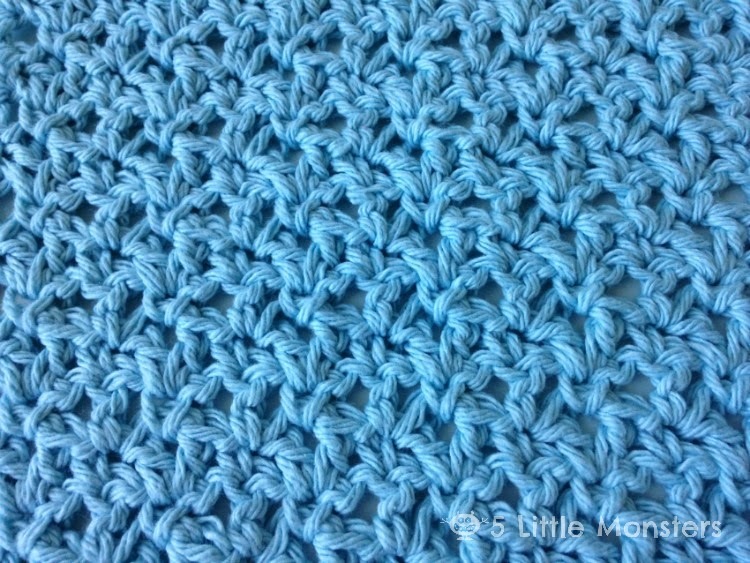 How do you do the popcorn stitch? 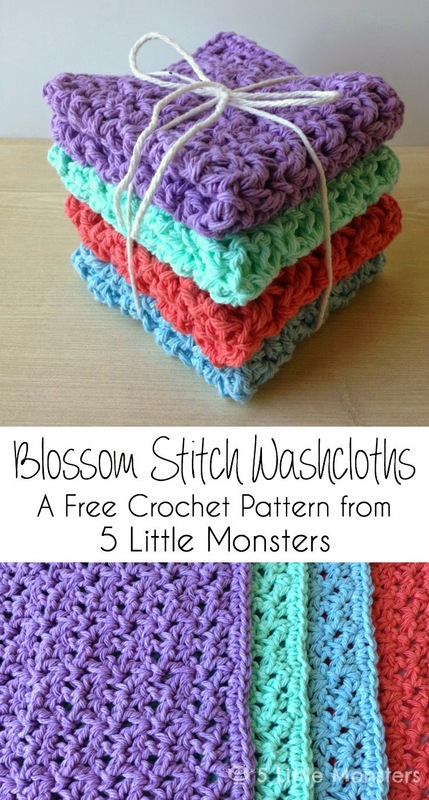 And do you have a dishcloth using that stitch? 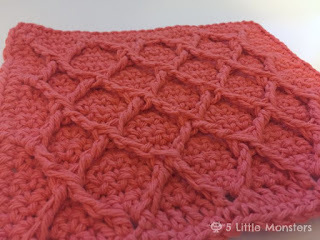 Do you know of a video tutorial for this stitch? I'm a beginner and I've found I can't follow written patterns. I understand the terms and abbreviations but I just cannot seem to translate them into actions unless I see the actions that go with the steps. I'm apparently a visual learner and can do them if I follow along with videos. Thanks in advance.